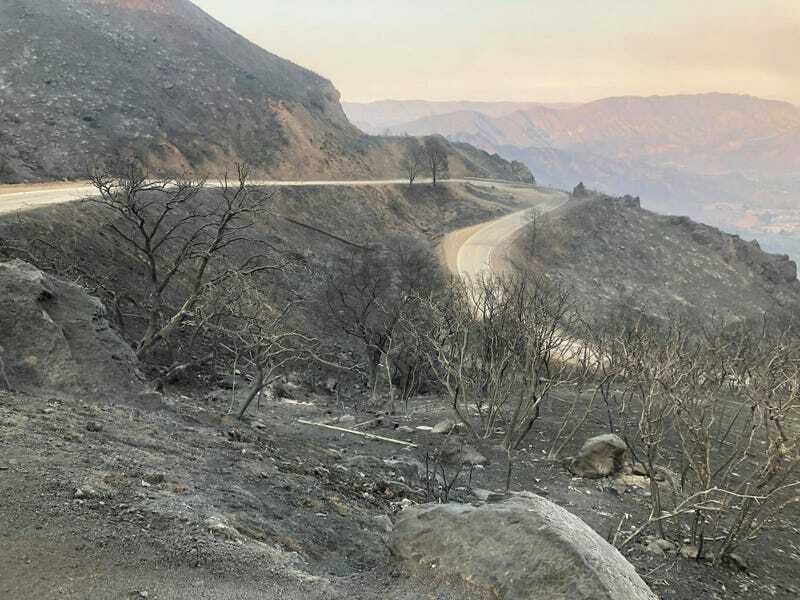 I haven’t been up there yet since the fire passed through the Malibu canyons but normally I commute through this spot every day. Often enough that I have a photo from the same exact spot just a month or so ago! Fire is still burning too so we shall see what happens with the weather and heroic firefighting efforts.